Most .NET developers are really spoiled as far as debugging goes. Most of the time we just start the application from Visual Studio and the debugger is already attached to it and ready to break the execution at breakpoints or when an exception is raised. 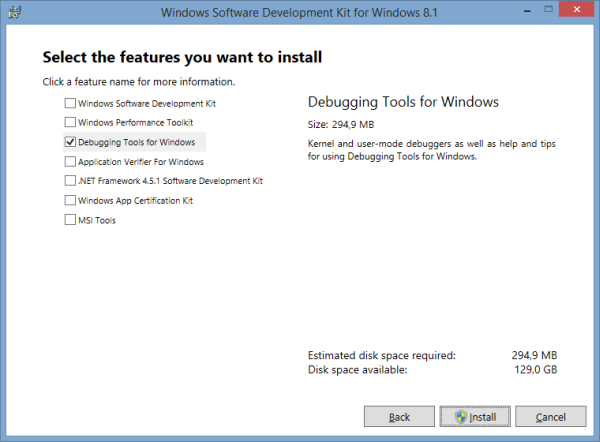 If that's not possible, Visual Studio debugger can easily be attached to an already running process either on the local machine or a remote machine with Remote Tools installed. It works even when the application is hosted in Azure. However, none of the above options can be used when an application starts misbehaving in production (slow response times, seemingly random and non-reproducible exceptions or application crashes, etc.). When logging and instrumentation are not enough to resolve the problem, it's time to create a memory dump and analyze it in WinDbg. Thanks to its steep learning curve, using it for the first time is quite a scary thought. And since most of us only need to use it on rare occasions, just enough time passes between them, that it's not much easier doing it the next time after such a pause. I've created this short cheat sheet to make it a bit easier for me, when I'm in such a situation again. I hope it will prove helpful to others as well. Although it is possible to create a memory dump from Task Manager by right clicking the process of interest and selecting the appropriate option, this is not the recommended way of doing it. Not only does it provide only basic functionality, it doesn't even create a useful memory dump for 32-bit processes running in 64-bit Windows. In spite of being the least invasive way for obtaining run-time information for debugging, depending on the size of the process, creating the dump can still take several seconds. During this time the process is paused, so take this into consideration when using it in production. Of course, for processes consuming a lot of memory the generated file will also be quite large, therefore plan appropriately where to save it to and how to transfer it to your development machine, where you will be able to analyze it. In case you haven't paid attention at the very beginning of the setup wizard, WinDbg gets installed into C:\Program Files (x86)\Windows Kits\8.1\; in Debuggers subfolder, to be exact. Once you start the correct version of WinDbg (either x86\windbg.exe or x64\windbg.exe, based on whether you want to analyze a memory dump of 32-bit or a 64-bit process respectively), the first step is to load the memory dump (File > Open Crash Dump... or Ctrl+D). From here on, you'll need to proceed by typing commands. If it complains about missing mscordacwks.ddl or SOS.dll, you will need to retrieve them from the machine where the memory dump was created and repeat the above command. The next issue are usually missing symbols (.pdb files) for your own assemblies. You'll either need to include a folder containing them to symbol path or copy them directly to the cache folder, as reported by the above command. That should be enough to get you going. For more information refer to SOS debugging extension documentation, check Tess Ferrandez's blog or search the internet.